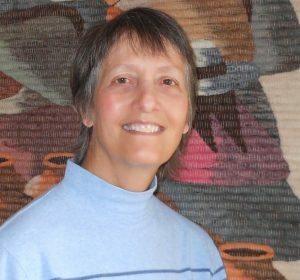 Diane Winger is a self-described “retired software geek” who loves camping, hiking, rock climbing, and cross-country skiing when she isn’t glued in front of her computer doing volunteer work, watching cat videos, and writing. If you meet her for only the third or fourth time, don’t be surprised if she doesn’t recognize you. Read “Faces” or “Duplicity” and you’ll understand why. She and her husband, Charlie, are co-authors of several guidebooks on outdoor recreation. Diane switched to writing fiction and is hooked. She was born and raised in Denver and the couple currently reside in western Colorado. I find writing to be a similar escape to a new world as I get from reading — and I’m a voracious reader. In the past, all my published writing was nonfiction — technical articles and instruction manuals (I was a software developer) and later outdoor recreational guidebooks. When I wrote my first novel, Faces, I discovered a marvelous experience that I hadn’t really found with writing short stories. The characters seemed to come to life and often veered the story in a different direction than what I initially planned. I had a blast reviewing what “they” had said and done, and deciding if I needed to reign them in to the original story line or let them go for it. I begin with a central issue, such as face blindness, a serious hiking accident in the mountains, end of life decisions, or some other situation or problem that intrigues me. Before I actually write anything, I may spend several months imagining the key characters — not only while they are dealing with the primary concepts of the story, but how they grew up, what experiences they had that brought them to where they are today. Once I feel I know my characters, I’II start off with a general timeline of important parts of the story, plus a bio page where I outline facts about each character. As I begin to write, I generally work straight from start to end of the book for the first draft, updating the timeline and character bios as I work. I usually write in the morning, but can become so caught up in the story that I may write late into the evening as well. Unfortunately, this tends to mean that I lay awake for hours thinking about what the characters will do next, since the scenes may have veered off from the original plan. Despite the interruption to my sleep, the process is quite exhilarating. Yes, and far more than a sane person should. I have to watch myself and make sure I’m not having these “conversations” aloud when others might observe me. Just do it! I thought about writing a novel for years, but didn’t think I had it in me to write a full-length piece of fiction. Instead, I wrote my little short stories for fun and didn’t get started on a novel until I was in my 60s. However, once I set aside time daily to just sit down and write with no real expectations, my first novel started coming together. Sometimes I discarded the chapter(s) I wrote, but I kept at it until it felt right. My husband, Charlie, and I published three non-fiction books through two small publishers, and had mixed experiences. Overall, the process was very frustrating due to lack of control over what was eventually published with our names on the cover. When he wrote his autobiography (Two Shadows) several years ago, we decided to self-publish. I have experience as a professional proofreader as well as some editing experience, so I acted as his editor and learned the technical aspects to publish his book in paperback as well as for kindle. Although it was a lot of work, for us the rewards of controlling the final product made it well worth it. We chose to self-publish my novels for the same reasons. I believe the trend toward e-books will continue to grow stronger while printed books lose market share. However, I don’t think physical books will go away anytime soon. We can easily find images of wonderful artwork such as paintings, but there is still something very special about viewing that same art in person. Physical books are like that, too — especially beautifully-bound books. However, I can imagine a day when physical guidebooks — like the ones Charlie and I have written — will simply be on display in some collector’s library. I think guidebooks will go almost exclusively to e-book within the next few years.